Honestly, after listening to first several songs, I was anxious to get through 'The Hanged Man' quickly. It's not that the first four songs aren't curious. On the contrary, it's decent heavy metal with some fine fret work on each song. However, there's a huge redundancy of harsh heaviness with little variety from song to song. It's almost as if Hollow Haze felt compelled to prove that they are a 'heavy metal' band. Once you arrive at 'Pretender,' a more melodic power metal piece, the music becomes more interesting, varied, and pleasing, at least for several songs. 'Waiting' is better simply because the melodic metal reigns and Ivan Rave doesn't sound like he's ripping his lungs out. Skip to 'Senses Roam' where, again, you have a tremendous melodic metal song with a fine progression and solid vocal arrangement. Much of this style continues to the end and this is where Hollow Haze does well. Even with some more inherent heaviness, when Hollow Haze emphasizes more melody and variety in the compositions, they do much better. 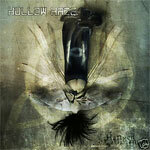 Hollow Haze's 'The Hanged Man' is a good second effort by this young Italian band. Yet the work is a bit uneven. They can't seem to decide if they want to whack you on the side of the head with the an abrasive heavy metal shovel or pursue more heavy metal with a mixture of heaviness, melody, and subtle progressiveness. Still, 'The Hanged Man' is worth checking out. Hollow Haze's 'The Hanged Man' is a good second effort by this young Italian band. Yet the work is a bit uneven. They can't seem to decide if they want to whack you on the side of the head with the an abrasive heavy metal shovel or pursue more melodic metal with a mixture of heaviness, variety, and progressiveness.